GROZNY, November 13. /TASS/. More than 40 women and children rescued from conflict zones in Syria have been airlifted to Grozny, Chechnya, on Monday, TASS reports from the Chechen capital. The people that arrived in Chechnya are natives of Russia’s republics of Bashkortostan, Dagestan and Chechnya, the city of Oryol as well as nationals of Uzbekistan and Kazakhstan. This is the biggest group evacuated in similar operations so far. Meeting them at the airport were relatives, local officials and families whose children still stay in countries of the Middle East, TASS said. "Women and children aged between two months and 14 years [have arrived]," Chechen leader’s envoy for countries of the Middle East and North Africa, Ziyad Sabsabi, said. "Negotiations on their release have continued for the past three weeks, we have been assembling this group (of women and children) for the past two months," the senator added. He said "nobody can give guarantees" that the rescued women will not be brought to account if they escaped charges. "They knew where they were going to - if they had violated the law before leaving Russia and criminal cases had been opened against them, they must stand trial for what law enforcement agencies accuse them of. We have received a receipt from each of them that they are returning to the homeland of their own free will and are ready to stand trial in case of necessity," the senator said. More than 50 people have returned to Russia from Iraq and Syria in the past four months. Thirty-five of them are children. Rescued from flashpoints are residents of Chechnya, Dagestan, the Khanty-Mansi Autonomous Region, the Tver region as well as Kazakhs nationals. 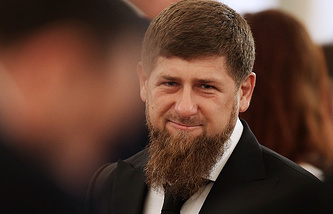 Chechnya’s Akhmat Kadyrov Foundation has defrayed the cost of search and their return. Some 445 Russian children currently remain in the zones of armed conflicts in Syria and Iraq, Russian children’s rights commissioner Anna Kuznetsova said earlier. "Now we are speaking about 445 children, 28% of them are under three years of age," Kuznetsova told a meeting of the commission for returning Russian children from Iraq and Syria in September. Nine percent of these children were born in the zone of hostilities. More than half of children (54%) on the list are aged between four and nine years, while 18% are older than ten.